British Legation, Connecticut Ave at N Street, NW. Architect John Fraser was first listed in Washington’s City Directory in 1872, when he maintained an office at 515 7th Street, N.W. In 1874, he moved his operation to 1509 Pennsylvania Avenue, where he would remain through 1876. He was first listed as an architect beginning with the 1877 Directory, when he designed the houses at 1433 to 1439 Q Street for developer George Truesdall. He was listed at 1333 F Street in 1890, when he indicated that he had his son join the business that year. Fraser was a native of Scotland and had first practiced architecture in Philadelphia before coming to Washington in 1871. He first appeared in the Philadelphia City Directories in the 1850s, and had formed a partnership with civil engineer Andrew Palles coined ‘Fraser and Palles’ in that city in 1857. Interestingly, Fraser attracted two architects into his office that would go on to enjoy major success in their own careers; Frank Furness (1839-1912) learned draftsmanship in the office, as did Louis H. Sullivan. Eventually, Fraser and architect George W. Hewitt entered into a partnership with Fraser, coined ‘Fraser, Furness, and Hewitt.’ The firm lasted until 1871 when Fraser moved to Washington to serve as the Supervising Architect of the U.S. Treasury. Fraser designed several residences and store buildings while in Washington, including the row of houses at 914 to 926 French Street, N.W. In addition to 1433-1439 Q Street in 1877, he designed the house at 1313 R Street in 1877, 1500 Rhode Island Avenue in 1879, and 1407 15th Street in 1881. In 1884, Fraser provided the plans for the first portion of the Kahn’s Department Store at Pennsylvania Avenue and 7th Street (destroyed by fire in 1979). 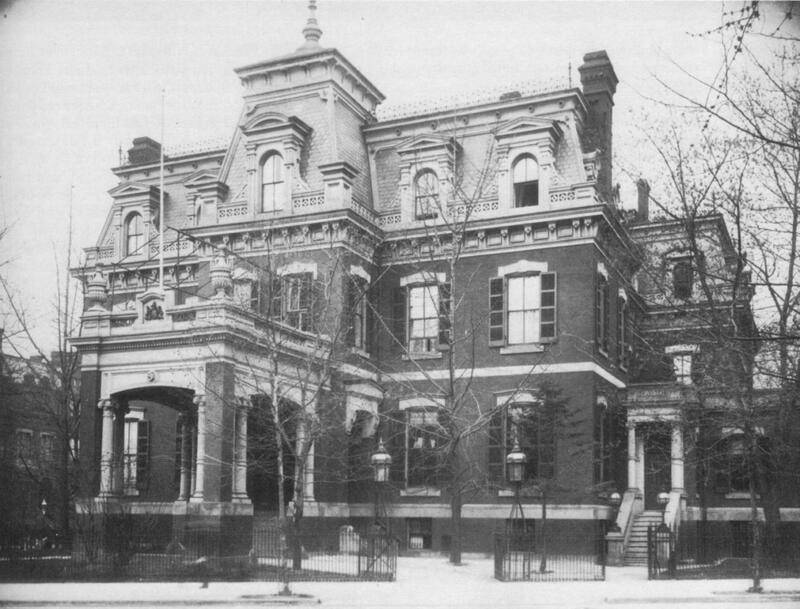 Fraser was also the architect for the British Legation, built in 1872 at the corner of Connecticut Avenue and N Street, illustrated above. It was torn down in 1931. 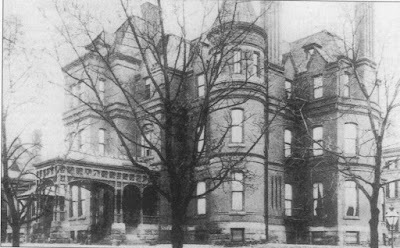 Fraser’s plans for the house at 1500 Rhode Island Avenue were completed in 1879 for owners John T and Jessie Willis Brodhead, pictured at right about 1925. It was purchased in 1882 by Gardiner Hubbard fro his daughter Mabel, who was married to Alexander Graham Bell. In 1889, it was purchased by Levi P. Morton, who hired architect John Russell Pope in 1912 to turn the turreted Victorian into a classic revival house at a cost of $20,000. It remains on the site at Scott Circle in its vastly altered form today. Fraser returned to Philadelphia in 1890 along with his son Archibald Alexander Fraser and practiced architecture until his son’s death in 1895, at which time Fraser retired to Riverton, New Jersey. 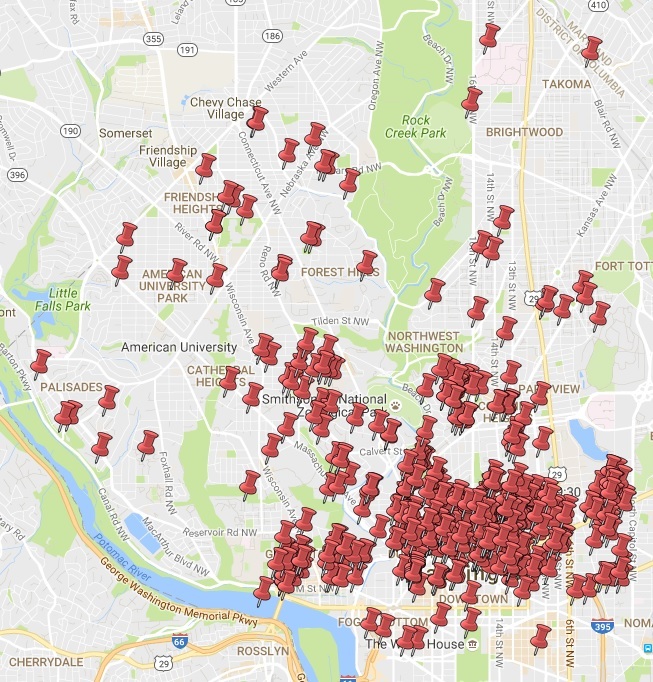 Washington, DC House History Map Updated! Well, it took us three years due to a house and office move of late, but its here! We've updated the Google Maps that chart the locations, along with a wee bit of history, of each house and building we have researched. Check it out, and discover the history of a house near you! As you can see, we've been busy of late. Enjoy! The first President of Howard University, Charles B. Boynton, took office on March 19, 1867, marking the official beginning of the esteemed institution that had been conceived in his house near the intersection of N Street and Vermont Avenue earlier that year. His contemporaries called him “President of the Board of Trustees,” and his tenure would be short; he resigned on August 27, 1867 over a dispute with namesake Otis O. Howard stemming from their differing racial policies. Charles Brandon Boynton (left, via NARA) had been born in Stockbridge, Massachusetts, on June 12, 1806. He entered Williams College in the class of 1827, but, owing to illness, was obliged to leave during his senior year. He took up the study of law, and, after filling one or two local offices, was elected to the Massachusetts legislature. While studying law he became interested in religion, qualified himself for the ministry, and was ordained pastor of the Presbyterian Church at Housatonic, Connecticut, in 1840. After a stay of three years, he moved to churches in Lansingburg and Pittsfield, Massachusetts, and in 1846 to Cincinnati, Ohio where he remained until 1877; with the exception of his terms of service as chaplain of the House of Representatives in the 39th and 40th congresses (1867-1869), while he resided at N Street and Vermont Avenue. Boynton had earlier ventured to Washington to serve as the first pastor of the First Congregational Church upon its founding in 1865. On November 20, 1866, ten members, including Howard, of various socially concerned groups of the time met in Washington, D.C., to discuss plans for a theological seminary to train colored ministers. Interest was sufficient, however, in creating an educational institute for areas other than the ministry. The result was the Howard Normal Institute for the Education of Preachers and Teachers. On January 8, 1867, the Board of Trustees met at Boynton’s house and voted to change the name of the institution to Howard University. Boynton bore an important part in the anti-slavery controversy, which was fiercely waged in Cincinnati during the early years of his pastorate. 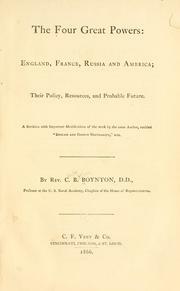 His published books include Journey through Kansas, with Sketch of Nebraska (Cincinnati, 1855); The Russian Empire (1856), The Four Great Powers--England, France, Russia, and America; their Policy, Resources, and Probable Future (1866); and History of the Navy during the Rebellion (New York, 1868). A strict abolitionist, Boynton and Major General Otis O. Howard (1830-1909) had differing views of the very early forms of segregation immediately following the Civil War, despite their common goal of providing affordable education for black citizens at the collegiate level. On November 17, 1867, Boynton preached a sermon on race relations in which he advocated that blacks be allowed to enter churches of white congregations and become members, but where existing black churches were located he encouraged them to remain and strengthen their own religious institutions, advocating voluntary segregation. Howard, on the other hand, mandated integration at every society level. Howard and his followers continued to publicly push for racial integration in all aspects of private and public life, and Boynton left the position as both pastor of the First Congregational Church September 6, 1867, and as the first President of Howard University, a month earlier on August 27, 1867. He was replaced by Byron Sunderland until Otis O. Howard became President a year later, in 1868. Boynton’s son, Henry Van Ness Boynton, below, was a well known newspaper correspondent that built the house at 1321 R Street between 1875 and 1879, where he and his father lived in 1880, according to the federal census (left, in 2007). Henry Boynton charged Otis Howard with misappropriating funds from the Freedman’s Bureau which he controlled, and a federal investigation ensued in 1870 to determine if Howard directed funds donated to public institutions such as Howard University to promote his own namesake. As commissioner of the Freedmen's Bureau, Howard was known for promoting the welfare and education of former slaves, freedmen, and war refugees. By 1870, an astonishing $529,000 from the Bureau’s coffers had been donated to Howard University, where twenty other black schools such as Lincoln University had only received $15,000. The issue softened, and Howard himself served as the University’s President from 1868 to 1874. Charles Boynton died in Cincinnati, Ohio, on April, 27, 1883; his son, Henry Van Ness Boynton died at 1321 R Street in 1905. Mordecai Wyatt Johnson (1890-1976) later served as Howard University’s first black president, and its thirteenth, from 1926 until 1960. In what is coined the Strivers Section today, the 1700 block of Seaton Place, located between U, V, 17th Streets and Florida Avenue, was first developed in the early 1870s, and completed by 1908. It was the subject of noted photographer Gordon Parks in 1942, as part of his work documenting the effects of racism and poverty for the Farm Security Administration, seen below. 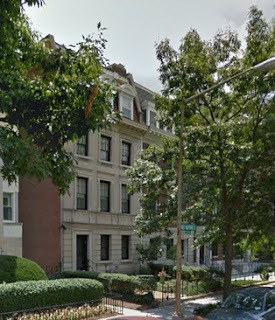 Adjoining both the Greater U Street and Dupont Circle Historic Districts, the Strivers Section Historic District was recognized and listed as a local historic district in 1983. Seaton Place today was initially coined Riggs Street, as seen on an 1887 map of Square 150. It was then renamed a short time later to Seaton Road, in honor of William Winston Seaton, mayor of Washington from 1840 to 1850. Later, its name was changed to Seaton Place. The oldest buildings along the one block street are located at 1701 to 1719 Seaton. 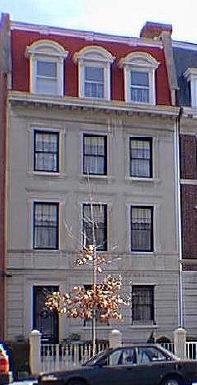 Erected between 1872 and 1873, this row of ten, two-story brick dwellings featured raised basements and Italianate detailing including a bracketed wood cornice. Another group of rowhouses on the south side at 1700 to 1716, were also built relatively early, from 1874 to 1875. It originally consisted of a row of ten, two-story, flat fronted brick dwellings on high foundations to appear as if it were one long building. The end buildings at 1700 and 1716 were articulated as “end pavilions” with projecting center gables, with the center buildings forming the main block of the group. Today, the homes are all painted different colors, and one end pavilion (#1716) is no longer standing. Development on the Street ceased for nearly fifteen years, until 1890, when the thirteen rowhouses between 1741 and 1757 Seaton Place were built simultaneously by builder James H. Grant as speculative housing. The five townhouses from 1731 to 1739 Seaton were also built in 1890, by owner John C. Davidson, with the assistance of architect George S. Cooper. The 1900 census reveals that all the built segments of Seaton Street at the time housed “Black and Mulattos” occupants. However, much of Seaton Place remained vacant until 1902, most likely due to the economic depression of 1893 and 1894, and the years of recovery that followed. Eighteen houses were built that year by owner Charles W. King with the assistance of architect Nicholas T. Haller, comprising 1722 to 1758 Seaton Place. The three large townhomes at 1723, 1725, and 1727 were built in 1905 as “townhouse flats” by building partners Jos. J. Moebs and H..J. O’Connor. Each included an apartment that was indicated by using a 1/2 after the residential address. The two estimated the three dwellings would cost $7,000 to build, or approximately $2,333 each. The last house built to complete the block was 1720 Seaton Place, built in 1908 by owner C.T. Bride with the assistance of architect J.G. Adkinson and builder J.T. Loveliss. The 1920 census reveals that all the residents along Seaton Street were “Black or Mulatto” working class citizens at the time. Apparently, from the late 1940’s to the late 1970’s, Seaton Street, was the focus of disagreements between tenants, home owners, and the city government over the terrible conditions of the houses. It was well documented as part of the 1942 Farm Security Administration’s “New Deal” Program, and later in an essay on Wartime Washington by photographer Gordon Parks (b. 1912), whose photographs are now housed in the Library of Congress. Recognized as the first major black photojournalist, Parks later went on to become a staff photographer for Life magazine. The Commissioner’s Committee appointed to rehabilitate Square 150 will make a resurvey of the block next Monday, E.M. Dulin, chairman announced today. Square 150 is bounded by U, V, and 17th streets and Florida avenue, N.W. There are 124 buildings in the square, and 20 of them have been or are in the process of being repaired. The worst part of the square is Seaton street, which runs from Seventeenth Street to Florida Avenue, N.W. Nine years later, on 25 September 1959, the Washington Daily News ran a story by Martha Strayer with a by-line coined “Massive Aid: the World Comes to a D.C. Street.” In an effort to better conditions, almost every department in the government made a commitment to provide education, better sanitation, and relief to the unimaginable conditions. At the time, the one block Street housed 200 children! The “acknowledged block of blight” was saved demolition in 1965, when the National Capitol Planning Commission voted against the idea in February of that year. According to a 2 May 1965 article in the Washington Post, the reason given was the lack of public housing for the 130 families on the block at the time. Commission staffers still wanted to revitalize the Adam’s Morgan area, and at one time investigated purchasing the empty property at 16th and Florida, previously “Henderson Castle,” a mansion that had been demolished in 1949. The urban renewal demolition plan proposed in 1965 failed as well, and Seaton Place remained a slum for some time. A short story that ran on 11 May 1976, offered some insight on the situation and concern about the block; The DC government had charged Centre Properties, Inc., the owners of 27 rowhouses, with an impressive 799 housing code violations. Apparently, tenants had been resisting eviction and halting conversion of the badly deteriorated houses into “stylish townhomes.” The tenants had organized a lawsuit against the current owners and the previous owner, James Ruppert, to give them first chance to buy the houses before they renovate them for resale. At least some of the residents won the lawsuit in the D.C. Superior Court (10 of the original families) in April of 1977, and had a short time to raise funds to remain in their homes. In May of that year, at least nine of those families were able to purchase their homes, according to a 30 November 1978 article in the Washington Post, a few of whom can still be proudly found on the block today. 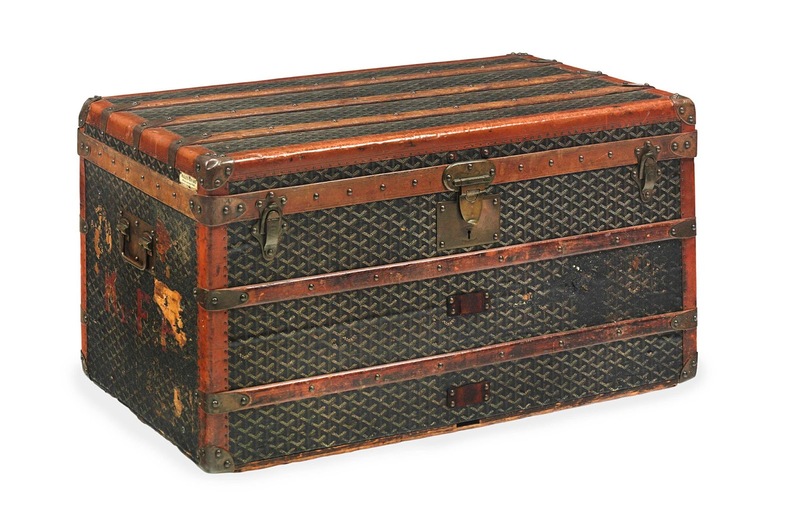 Many years ago, an owner of 1711 New Hampshire Avenue, NW approached us with a history mystery; she had found several steamer trunks with the name ‘Grant’ painted on them, and wondered if it were at all possible they could have once belonged to the Ulysses Grant family. We not only found the connection, but found a Russian Princess to boot. The house had been built in 1911-1912 at a cost of $25,000 by Franklin Sanner, who was developing other large properties close by as speculative development. It was designed by Albert Beers. Owner Sanner sold the residence to Ida Honoré Grant on September 17, 1912, as recorded Liber 3547, Folio 366. 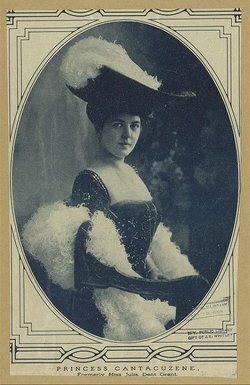 She listed herself in the 1915 City Directory as the widow of Frederick Dent Grant, the eldest son of famed Civil War General and President Ulysses S. Grant, and was from a wealthy and prominent Chicago family. She was listed as the sole resident at the address in the 1913 City Directory. The couple is pictured at right. As the son of Ulysses S. and Julia Dent Grant, Frederick Dent Grant was born on May 30, 1850, in St. Louis, Missouri. 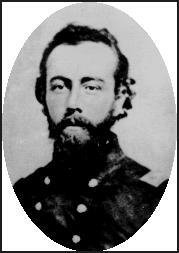 He attended West Point Military Academy, graduating with the class of 1871. He was assigned on June 12th of that year to the Fourth United States Cavalry, spending two years on outpost duty taking part in combats with Indians in the far west. As a result, he was promoted to the rank of First Lieutenant and Lieutenant-Colonel by 1873, and eventually resigned his military commission in June of 1881. 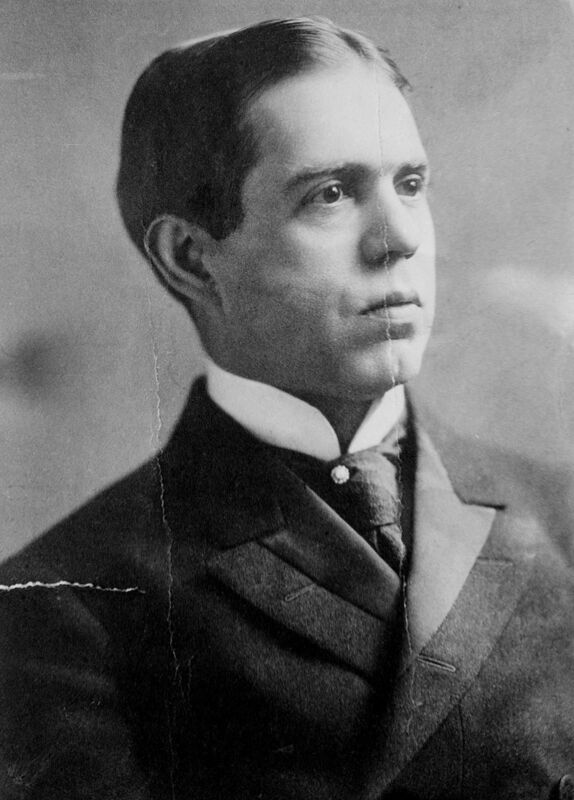 Shortly thereafter, he married Ida Honoré, the daughter of a Chicago millionaire. They resided in New York with the widow of General Grant. He served as republican Secretary of State for New York from 1887 to 1888. Also during this time, Frederick served as minister to Australia, and was Police Commissioner of New York City at the outbreak of the Spanish War, when he became Colonel of the Fourteenth New York Volunteer Infantry, and was soon thereafter appointed a Brigadier-General of the United States Volunteers. During the Spanish War, he served in Puerto Rico, and following the war, remained in command of the military district of San Juan. Shortly thereafter, he transferred to the Philippines, commanding the Second Brigade of the First Division of the Eighth Army Corps. While there, he took part in the battles of Big Bend and Binacian, afterward being transferred to the Second Brigade of the Second Division, advancing on Northern Luzon and Zamballes. 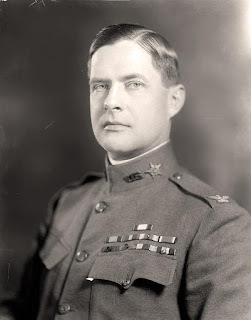 He returned to the States in 1901 when he was appointed a Brigadier General in the United States Army and assigned to command the Department of Texas, with headquarters in San Antonio. In 1902, he was transferred once again to the Philippines, to the Sixth Separate Brigade in Samar, where he received the surrender of the last insurgent forces. In 1914, Ida H. Grant apparently rented the house to U.S. Senator William P. Jackson (left) and his wife, as they were listed as the occupants in the City Directory for that year. Incidentally, another William P. Jackson appeared in the same City Directory, and listed his profession as an Assistant Inspector General in the United States Army, boarding at the Army and Navy Club. 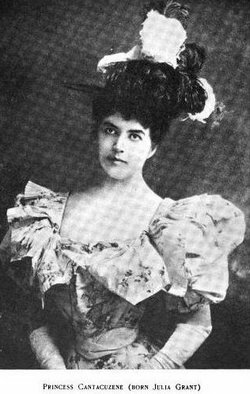 The daughter of Ida H. and Frederick Grant, Julia, was born in the White House in 1876, while her father was fighting in the Indian Wars in the West. Her grandfather, Ulysses Simpson Grant, was then serving his second term as President. She grew up in Vienna where Frederick later served as the American minister to the court of Emperor Franz Joseph. In 1899, at the Newport, Rhode Island home of her aunt, Mrs. Potter Palmer of Chicago, Julia Grant was married to Prince Michael Cantacuzene, chief military adjutant to Grand Duke Nicholas, the grandson of Tsar Nicholas I. For the following eighteen years, she lived on her husband’s vast estates near St. Petersburg and in the Crimea until the Russian Revolution forced them to escape to Sweden. Princess Cantacuzene, as she preferred to be known, became the frequent lecturer and author of three books, all relating to her life in Russia before and during the Revolution. As a popular lecturer, she was an outspoken foe of Communism as well as of the New Deal during the 1930s and 1940s. In 1934, she regained the American citizenship she had given up at her marriage thirty five years earlier. She died in 1975 in the Dresden Apartment building at 2126 Connecticut Avenue at the age of ninety-nine. Interestingly, it was designed by Albert H. Beers in 1909, just two years before he designed the house of her mother at 1711 New Hampshire Avenue. The son of Frederick Dent and Ida Honoré Grant, Ulysses S. Grant III, was born on July 4, 1881 in Chicago. He too was raised primarily in Vienna, attending the Thresianum school there before attending the Cutler School in New York City and Columbia University in 1898. 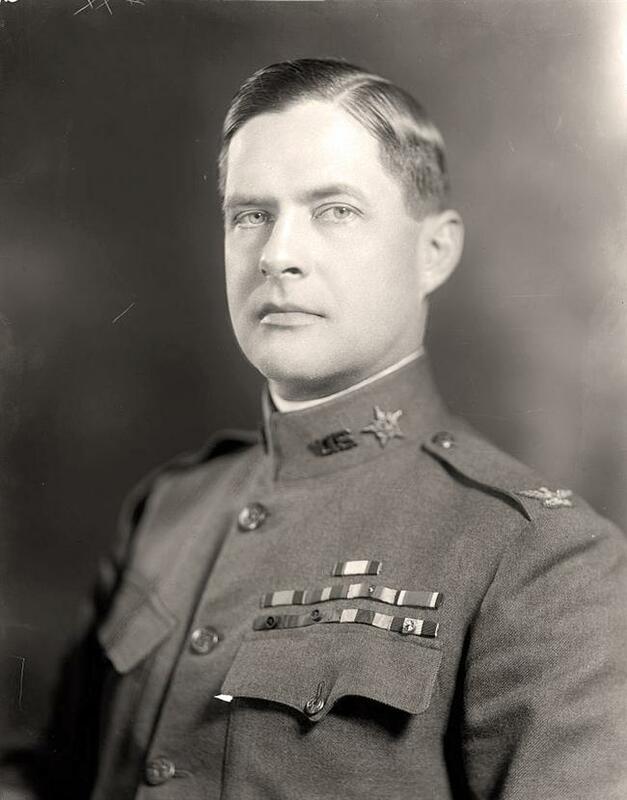 He graduated from Westpoint Military Academy in 1903, and graduated from the U.S. Engineer’s School in 1908. He married Edith Root, daughter of the Secretary of State Elihu Root, the Secretary of State under Theodore Roosevelt on November 27, 1907, and together they lived in San Francisco. He became a D.C. resident in 1925, and lived at 2117 LeRoy Place, N.W., when he became active in numerous urban planning affairs, including serving as the Executive Director of the National Capitol Park and Planning Commission. At the time of his death in 1968, he maintained a residence at 1255 New Hampshire Avenue, N.W. The last will and testament of Ida Honoreé Grant has several inclusions that offer insight into the lifestyle that she led while in residence at 1711 New Hampshire Avenue, N.W. It was written on September 2, 1926, and entered into probate on September 8, 1930, shortly following her death. The real estate at 1711 New Hampshire Avenue was willed exclusively to her son Ulysses S. Grant III (left) upon Ida Honore Grant’s death in February of 1930. 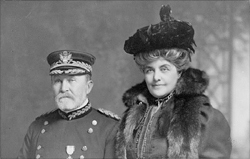 Her daughter Julia Grant Cantacuzene and son Ulysses S. Grant III were to split most of the personal artifacts and furnishings of the home, including "all clothing and wearing apparel, jewelry and articles of personal use and adornment, books, pictures, bric-a-brac, silver and household furniture, articles and effects, of every kind and description, as well as any other tangible personal property and effects, of which I may die possessed." Ida was also proud that she was able to keep the aggregate value of multiple bonds "intact and equal to the value of said property at the time it was left to me, so that I might be able to make this bequest and pass it on...to our children." The bonds in question were housed in her safe deposit box at the American Security and Trust Company in Washington, D.C. It was her wish that the children would be able to retain the bonds at their face value to pass on to their children in remembrance of their father Frederick Dent Grant. The remainder value of the estate was to be placed in a Trust at the American Security and Trust Company and equally dispersed over the course of 21 years in equal parts to her son and daughter. She expressed the trustees "to be very conservative, and to purchase only such bonds or other securities, which, after careful investigation, they believe to be safe and secure. I prefer that my trustees invest in such securities rather than in real estate." Her daughter Julia was specifically granted the sum of $50,000, to be gleaned from the proceeds of the sale of real estate owned in the state of Illinois. She also noted that her daughter was "amply provided for by a trust created by my sister, Bertha Honoré Palmer, which Trust has greatly increased in value through the able management of my brother, Adrian C. Honoré." To her son, she specified that "all letters and papers of an official, business or personal character owned by me, including those which belonged to his father, and also those which belonged to his grandfather, General Ulysses S. Grant." She made that bequeath "in order to carry out my late husband's express wish that his son should possess these letters and papers." The residence at 1711 New Hampshire was rented by Ulysses S. Grant III following the death of his mother Ida Honoré Grant in early 1930 to the Government of Nicaragua for us its Legation. The Charge d’Affaires of Nicaragua at the time, Dr. Henri De Bayle, both resided and worked at 1711 New Hampshire Avenue, N.W., during this period.